Let me show you its features. 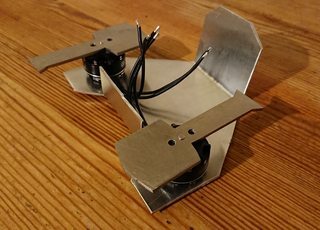 just wondering if anyone is taking commissions for antweight builds. for money of course. i am unable to buy a 3d printer and computer setup ATM. thank you! Nice. Have you signed them up for the event? So i finally fixed manta ray. Manta ray had one tyre as one had broke apart. From damaged recieved by holey moley. And had a screw missing because of me. Then after i fixed it. B) If you feel you have a dodgy lipo on you. But its never too bad to be safe. Rather more bodged than normal, but it's more of a prototype/proof of concept than a finished design right now. I can't wait to see how this turns out. What are your plans for your first event? Re: Manta ray and anything about it. Going to AWS57. Just need to finish nom and fix MR.